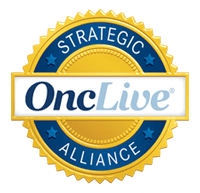 Regional Cancer Care Associates LLC (RCCA), one of the largest oncology physician networks in the nation, is pleased to announce that Michael Nissenblatt, M.D. 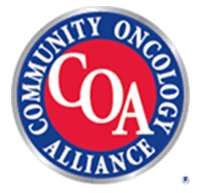 has been selected as one of 25 nationally recognized individuals to receive the American Cancer Society’s St. George National Award for outstanding service to the community in support of the Society’s mission to combat cancer. 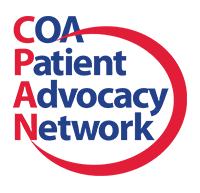 Recipients are chosen based on ongoing leadership, time commitment and their dedication to areas such as fundraising, mission delivery, patient support, legislative advocacy and clinical engagement. It is the highest honor given for volunteer service by the American Cancer Society. All nominees for this award have dedicated at least six years of their time to the fight against cancer. They have all significantly contributed to advancing the Society’s mission, strategic goals and programs. Since the award was conceived in 1949 by Dr. Charles S. Cameron, former American Cancer Society medical and scientific director, the St. George award has been presented annually to select volunteers nationwide. Dr. Nissenblatt is a member of RCCA serving the Central Jersey community and beyond. He is the founder of the Michael J. Nissenblatt Partners in Healing Foundation, which is designed to help patients and their families who are simultaneously suffering from cancer and experiencing financial hardship. He and his wife, Marlene Helen, have chaired the major fundraising event for the American Cancer Society in Middlesex County for the last 16 years. Known as the Night of Wine and Roses, they have engendered excitement and have raised enormous funds over these years to sponsor national American Cancer Society projects. Dr. Nissenblatt has also founded the Challah Foundation in 1995. The Challah Foundation distributes loaves of bread called challah (commonly called the “bread of hope”) every Friday to patients of all faiths and ethnicities whose common bonds are having cancer and being hospitalized at St. Peter’s University Hospital and Robert Wood Johnson University Hospital. To date, they have distributed more than 160,000 loaves of challah. Dr. Nissenblatt is also a marathon runner, and for the last 7 years he has raised money for the Aubrey Fund and Fred’s Team of Sloan Kettering, and was the leading fund raiser in 2012. “Dr. Nissenblatt is a dedicated volunteer whose distinguished service has been instrumental in the fight to eradicate cancer. His efforts are a wonderful example of what RCCA physicians provide to the communities of NJ,” said Andrew L. Pecora, M.D., F.A.C.P., C.P.E, President of Regional Cancer Care Associates.